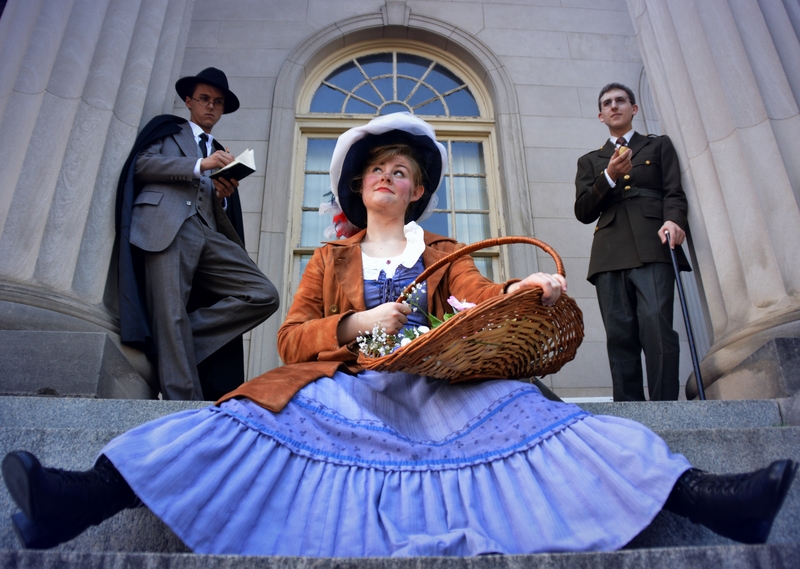 We will be opening a fourth Pygmalion performance, October 11 at 2:30 PM. Call 423-383-5979 for reservations! 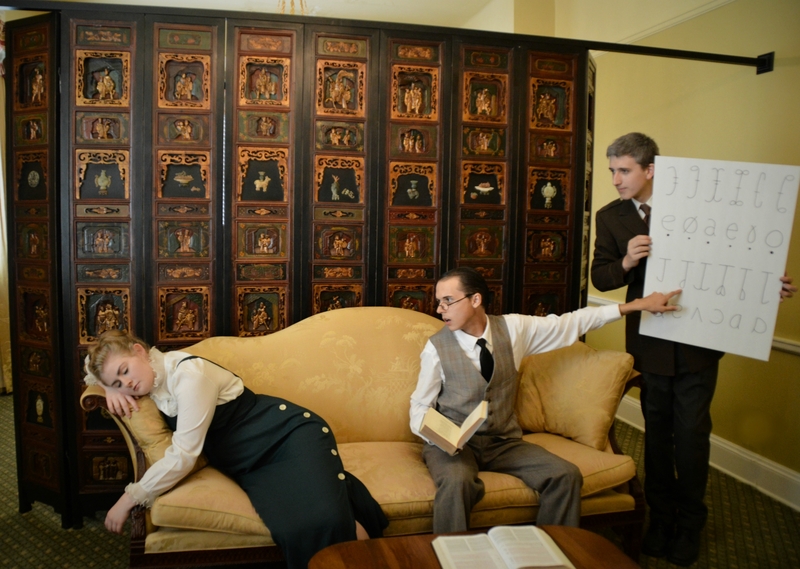 Bristol, TN, October 2014 – The Theatre Bristol Youth Service Board presents Pygmalion, by George Bernard Shaw, October 10, 11, and 12 in Theatre Bristol’s ARTspace. The Theatre Bristol Youth Service Board is made up of teenagers from the Tri-Cities who love theatre and Theatre Bristol. The YSB members currently include James Altman, Ashton Bishop, Cassidy Brunson, Haley Brunson, Kaylie Crain, Benjamin Fitton, Daniel Freeman, Camille Gray, Emma Kennedy, John Mullins, Kevin O’Bryan, Seth Peterson, Nick Reynolds, Nicholas Thompson, and Matthew Torbett with Board of Directors mentors Samantha Gray, Steve Baskett, Laura O’Bryan, and Jennifer Brunson. 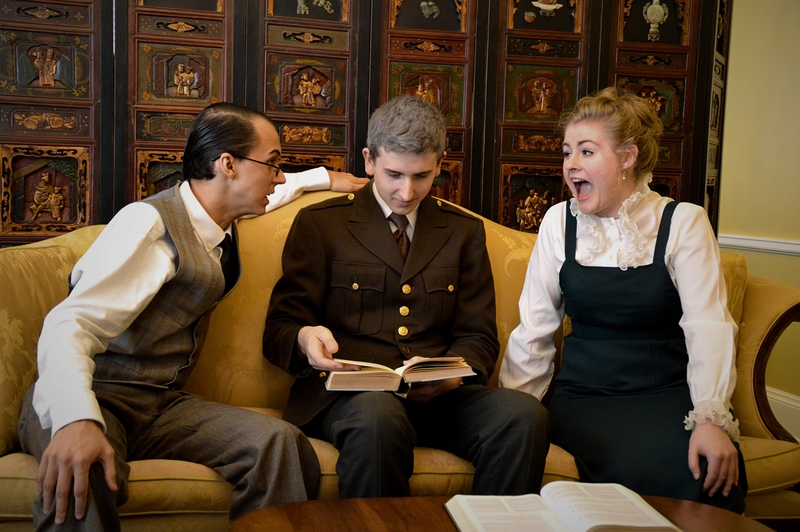 The Youth Service Board’s mission and goal is to reach out to the students of our area to further educate and enrich their lives through performances of classic literature brought to the stage, and inspire youth to become involved in the performing arts. The YSB performs one show a year, in the spring or fall, either touring it to schools or welcoming the schools into the ARTspace, and also publicly performing one weekend in Theatre Bristol’s ARTspace. The YSB also helps out around Theatre Bristol year-round with general activities to help maintain the theatre. From fundraising, to cleaning and work days, to hosting auditions and supporting the Rhythm and Roots Reunion, YSB members are fixtures at the Theatre. Ultimately, the Youth Service Board’s main goal is to foster youth capability and opportunity in the arts, including assisting with the sustainability of our community theatre for generations to come. 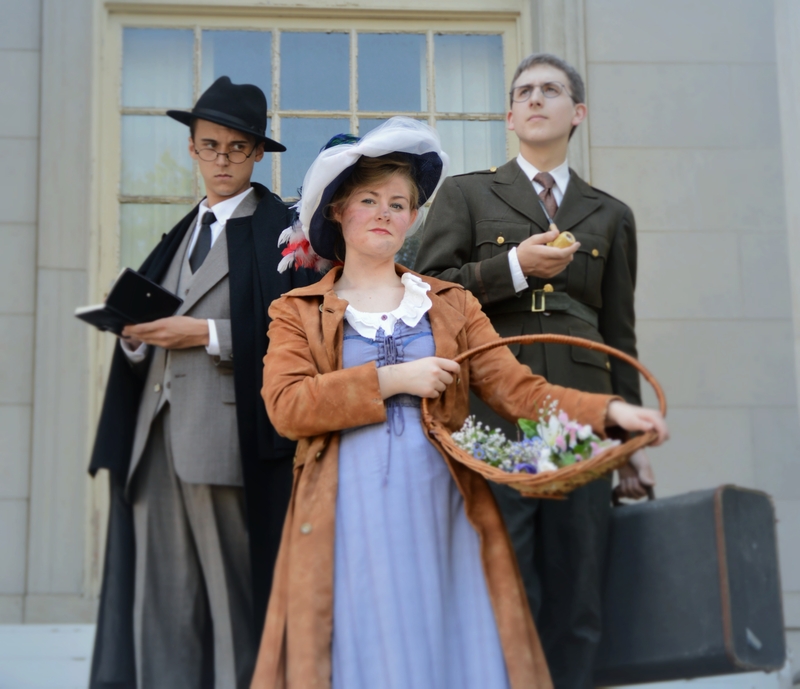 Set in the early twentieth century in Britain, Pygmalion is a classic comedy about a young flower girl, Eliza Doolittle (Camille Gray), and her journey of transformation to becoming a lady. After an accidental run-in with one of the world’s most respected dialecticians, Henry Higgins (Benjamin Fitton), Eliza makes it her mission to rid herself of her Cockney accent and improper ways in order to become a lady and work in a florist’s shop. 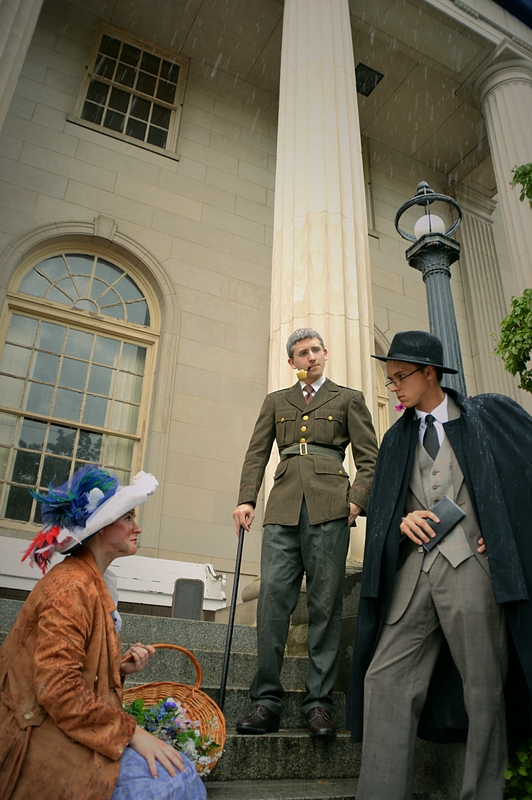 Henry and his friend, Colonel George Pickering (James Altman), make a bet that Higgins will transform Eliza into a real lady for the Ambassador’s Garden Party. 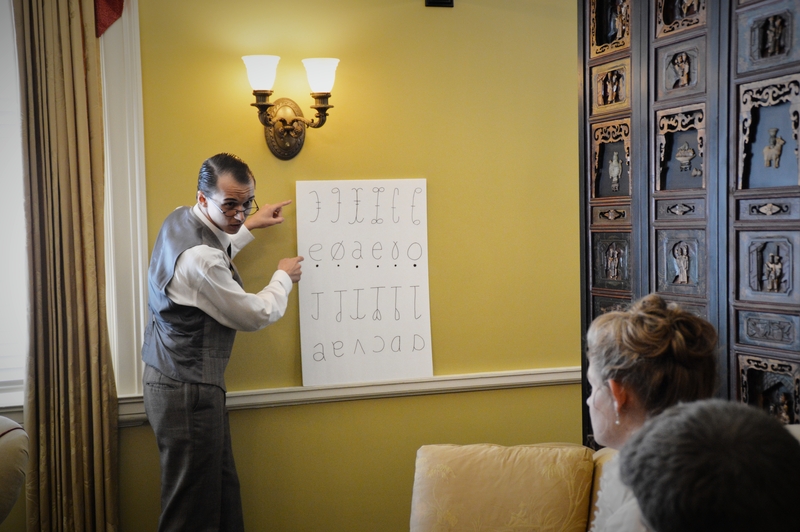 Higgins agrees and with the help of the housekeeper, Mrs. Pearce (Emma Kennedy), Henry cleans up Eliza and begins to work on her accent and grammar. Along the way, they encounter many obstacles, including an interruption by Eliza’s father, Alfred Doolittle (Seth Peterson) and his buddy (John Mullins), freshly out of work, who show up demanding compensation for his daughter. After six months of training, Henry is ready to test Eliza’s knowledge. He takes Eliza to an “at-home” party, hosted by his mother, Mrs. Higgins (Kaylie Crain). There, Eliza meets Mrs. Eynsford-Hill (Haley Brunson) and her children Clara (Cassidy Brunson) and Freddy (Matthew Torbett), who is immediately infatuated with her. During the at-home, Eliza’s pronunciation is impeccable, but her language easily gives her away. After Mrs. Higgin’s guests leave, she demands to know her son’s plan on what is to be done with Eliza after the “experiment” is over. 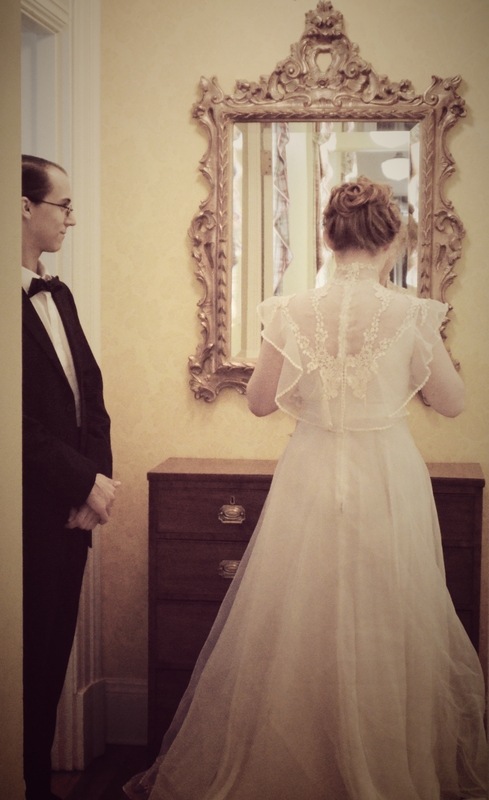 Henry and Pickering both firmly reassure her that everything will work out somehow. But will it work out? Will Eliza be found out as a fake at the Ambassador’s Garden Party? If they succeed, what will become of Eliza? Find out in our delightful production of the classic comedy. With Ashton Bishop directing, Nick Reynolds costuming, Matthew Torbett as props master, Nick Thompson on lights and sound, and Kevin O’Bryan and Daniel Freeman as crew members, this production not only features the Youth Service Board’s onstage talents, but their offstage talents as well. From set to costumes to light to marketing, everything is done by these talented youth, with the guidance of Board of Directors members Samantha Gray, Steve Baskett, Laura O’Bryan, and Jennifer Brunson. Show performances are Friday, October 10 at 7:30 pm; Saturday, October 11 at 2:30 pm and 7:30 pm; and Sunday, October 12 at 2:30 pm, with tickets available at the door. General admission tickets are $10. Pygmalion is a public-domain play by George Bernard Shaw. Founded in 1965, Theatre Bristol is the oldest continually running children’s theatre in northeast Tennessee. Its Main Stage season consists of up to five productions. Some of our performances take place in the ARTspace, a multi-purpose, black box theatre which seats up to 120. For more information, visit the Theatre Bristol’s website, or contact Theatre Bristol at 423-956-3525, or email info@theatrebristol.org.